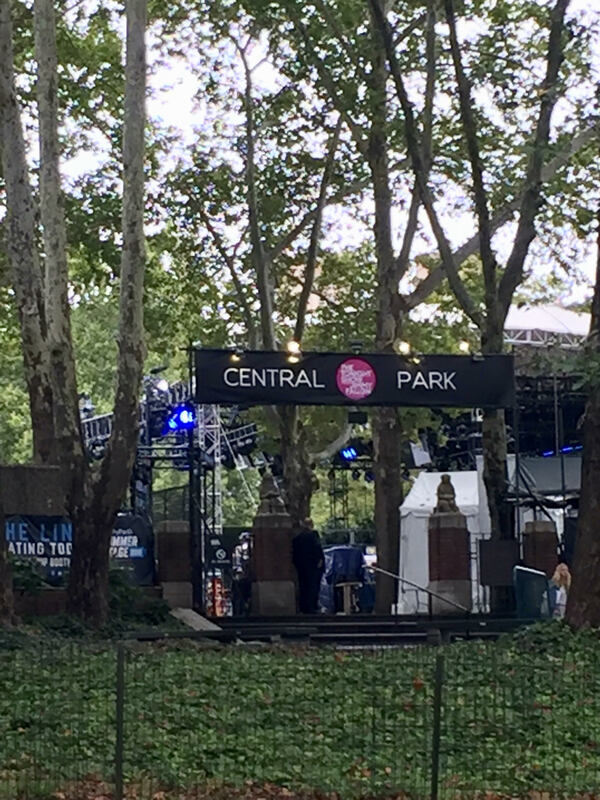 The Tonight Show in Central Park. Amazing how much stuff it takes to put on a TV show outdoors. So humid today that the walk was like completing hot yoga. Drippy clothes. Hope they have fans tonight. Jimmy Fallon. Blake Lively. Carrie Underwood. People were already lining up before noon. The show itself was silly. Sitting at his desk in front of a huge crowd.